Who's arrow will hit dead center of the bulls eye. No superpowers here, just straight up marksmanship. Huh. 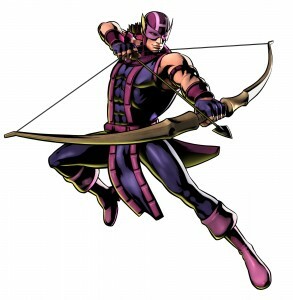 I’m going to guess whoever drew Hawkeye in that pose has never fired a bow before. The string’s going to strike his arm if he fires. I was in a hurry so I just picked one of the first pictures to come up. I agree that it is not the best way to shot a bow. When I was young I would shot cross arm, but my arm and hand was not like that. You do take a big chance on hitting your arm. A long sleeve and a arm guard works wonders. And, you ever try to hit someone on the chin with a Boxing Glove arrow? I love the idea of characters that have no real “super powers” keeping up with those that do. Also bringing in old school to new school with the archery is cool. 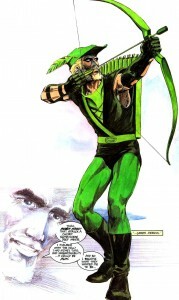 I am a marvel fan mostly but I do like Green Arrow more than Hawkeye. Arrow has that cool Robin Hood vibe, and then Hawk’s purple outfit with that mask just throw me off. I like the way they did him in the Avengers movie. GA is a ritch guy who shoots bad guys in his free time, Hawkeye is a trained assasin, no contest here Hawkeye!